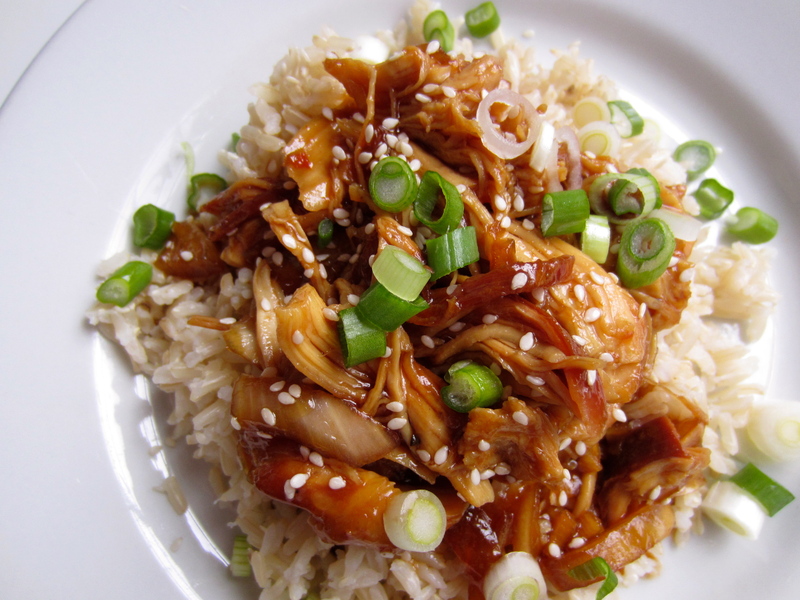 So we all know the obvious benefit of crock-pot cooking… it’s having a nice hot meal ready and waiting for you! But what are some of the other benefits that you might not have thought of? Here’s one for you: Economics! Not only does a crock-pot use very little electricity to run, it also doesn’t heat up your whole kitchen and house the way leaving your oven on would. True we may be starting the early days of Fall, but you still don’t want your oven to make your whole house feel like an oven! And speaking of economy… when you slow cook, having the meat basting in its own juices for hours, you can use tougher, usually less expensive cuts of meat. The meats that seem a good price, but all that fat and connective tissue? FLAVOUR! The slow cooking will give it time to melt away and make a moist delicious roast! One last plug for the use of crock-pots: Safety! As a person who tends to be a bit (read: Majorly!) klutzy, it’s a lot safer to have a small, contained appliance plugged in all day or overnight, rather than leaving your oven or stove-top on, even on low. Anything that can help me cut down on kitchen accidents is A+ in my books! Ahh the crock pot! You know, you can use it for more than just cholent! In fact, all week, I will be posting recipes that you can prepare in advance, freeze in gallon freezer-bags and then pop into the crock pot as you leave your house in the morning. When you get home at the end of your day, you will have a nice warm, slow-cooked meal waiting for you! All you need to do make some rice or pasta (depending on the dish) and voila! You’ve got a meal that would have taken you hours to prepare ready for you and your family. 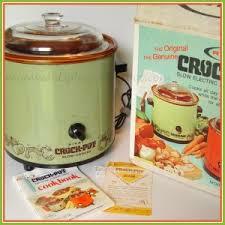 Interesting fact: Did you know the Crock-Pot was invented by a Yid? Irving Naxon, the inventor of the crock-pot got the idea from the stories his mother would tell him of when she was growing up back in the old country, each Friday afternoon her mother would send her to the local bakery with their pot of prepared but yet uncooked cholent. There it would be put into the oven for a full day, while the family observed the Sabbath and the hot oven cooled to warm while not in use for that same period. At sundown she would go to the bakery and bring the family their delicious pot of steamy stew. Irving remembered the story and was inspired to find a way to create a heating element that surrounded the pot in the same way that an oven would have. He wanted to find a low cost, low electricity use solution.Today, the crock pot is central to American cooking. Irving passed away in 1989, but I’m sure he would have been proud to see his invention used for his mother’s cholent, and so much more! I find this first step, while a little time consuming, really helps in the end, so trust me and go with it! Blanch your tomatoes and remove the skins! Bring a large pot of water to boil. Take each of your tomatoes and score an “X” at the top and bottom of it. Drop it in the boiling water and let it roll around for a minute or so, then fish it out and plunge it into an ice bath. This will shock the tomato, and let you slide the skin off relatively easily. if you’re having difficulty, use a paring knife to remove any stubborn pieces. Due to the sheer amount of tomatoes used in this recipe, you make want to divide it up amongst several large pots on your stove top, rather than attempting to try and do everything in one large (enormous!) pot. Place tomatoes, bay leaves, honey, oregano, 1 tablespoon salt, and black pepper in a large stockpot and cover with water. Stir to combine, cover, and bring to a low boil over medium-high heat. Remove cover and simmer 20 minutes, stirring occasionally. Remove bay leaves. Taste and adjust seasoning. 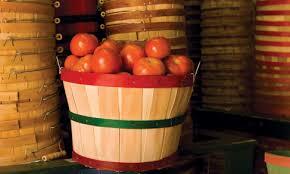 Depending on the acidity of your tomatoes you may want to add more salt or more honey. In a large skillet, heat the EVOO over medium-high heat. Cook and stir onions and garlic in the hot oil until the onions are softened but not browned, about 10 minutes. Once the tomatoes are done, you can either transfer the mixture in batches to a food processor and puree it, or use an immersion or hand blender, and just blend it in the cooking pot itself. Return the pureed sauce to the stockpot, add the cooked onions and garlic, and cook, uncovered, over medium-high heat until sauce thickens and reduces by about half, about 2 to 3 hours. Stir occasionally to prevent scorching. During this reduction time, you can make your different varieties of sauce by divvying up the sauce into smaller pots and adding additional garlic to one for a garlicky sauce, fresh basil to another for a basil sauce, or chili peppers to make a spicy sauce. You are only limited by your imagination! 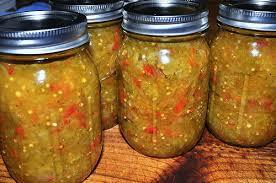 Prepare quart jars and lids by heating them in boiling water in a canning kettle for at least 5 minutes. When the sauce is ready, remove jars and lids and place on dry towel. To each jar, add 1 teaspoon salt and 3 tablespoons bottled lemon juice. 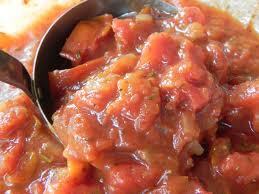 Ladle the hot tomato sauce into jars, leaving 1/2-inch of space at the top of each jar. Wipe jar rims with a clean, damp cloth, place lids onto jars, and screw on rings. Place filled jars in the canning kettle. Return water to a simmer, adding more water if needed to cover the jars by at least 1/2 inch. Cover kettle and bring water to a boil. Cook at a steady boil to process the jars until fully sealed, about 45 minutes (add more water if needed). Turn off heat and let jars rest 5 minutes before removing and cooling on a clean, dry towel placed on kitchen counter or table. Check that the lids have sealed, and store in a cool, dark place for up to 1 year. Bumper Crops Day 4 – I’m Seeing Red! Well, here it is, the last day of bumper crop week and I think I’ve saved the best for last. Tomatoes! If you’ve ever grown your own, you know you seem to go from “Man, when will I ever get a decent tomato to slice up for a salad or a sandwich?” to “What am I possibly going to do with all of these tomatoes? Can I somehow convince people that tomatoes are the new currency?” Even if you don’t grow your own, you’re bound to see bushels full at your local grocery stores and farmers market. So what can you do with all of these little red gems? Besides packing a few in your family’s lunches everyday trying to push the benefits of lycopene? (FYI tip: The lycopene found in tomatoes, is a powerful anti-oxidant, and studies have shown that it helps protect the blood vessels around the heart and neck better than vitamins A, E, or CoQ10, as well as having Cancer fighting properties. However in order for your body to properly absorb the lycopene, the tomatoes need to be cooked first, preferably in olive oil, which helps the body absorb the full benefits of the nutrient). The answer is easy! Tomato Sauce! You can set aside a few hours and make quarts and quarts of your own tomato sauce, varying between zesty, spicy, garlicky, you name it! You can make a day of it by putting on some opera, pouring a nice Chianti and pretending you’re in Rome for the day! Ciao Bella! Bumper Crops Day 3 – A Condiment So Nice, They Named It Twice! 1) Cut the cauliflower into small pieces – ensure that the entire inside of each floret is visible. 2) Check 3 small pieces per head of cauliflower on a light box. 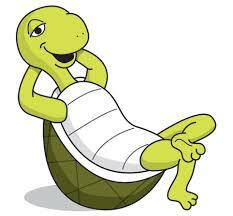 3) If even one insect is found, the entire head must be checked for more insects. 4) If three insects are found, the head of cauliflower is deemed to be infested and must be discarded; further washing is not permitted. 5) Add cold water and sufficient amount of vegetable wash or other similar soapy solution to a clean sink that has already been plugged or other similar container. The proper amount of vegetable wash has been added when some bubbles are observed in the water. 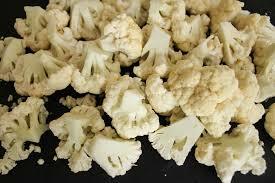 6) Check 3 samples of the cauliflower after washing to ensure that no insects remain. NOTE: This procedure must be performed on each individual head. In a saucepan, add your water, vinegar, salt, sugar, and garlic and bring it to a boil. Once it is boiling, turn it off and set it aside to cool down to room temperature. Trim the beans. 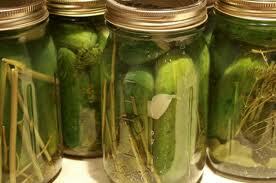 You want them all to fit in your jar with about an inch at the top so the brine covers them completely. You can trim both ends, or just the stem end. Next you need to blanch the beans. 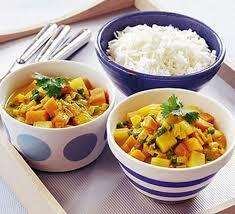 Bring a separate saucepan of water to a full boil, then dump the beans in and boil them for thirty seconds. Drain them, and quickly add them to a bowl of iced water to shock them and stop the cooking process. You want your beans to be brightly colored and still crisp. Drain the beans and set them aside. Add your onions, dill, red pepper flakes, and peppercorns to your jars. Now add your beans to the jars. They look prettiest standing upright, but don’t worry about being perfect. The easiest way is to lay the jar on its side, or hold it horizontally, and place the beans inside. Go ahead and pour your brine in once it has reached room temperature. Fill the jar to ½ inch below the top of the jar, and put the lid on. 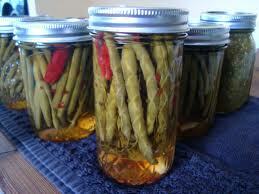 Place the jar of dilly beans in the fridge, and let them sit for at least two days before eating them. They’ll keep for up to six months in the fridge, if they last that long!